When you go online to search for a casino whose top priority is to provide the best gambling experience online, then you should take a trip to All Slots Online Casino. On the list of great casinos that occupy the membership slots at Jackpot Factory Group of casinos, All Slots makes this list. Keeping up with the tradition of this group, the casino operates in fairness, offering excellent security, and assuring players of a fun time. 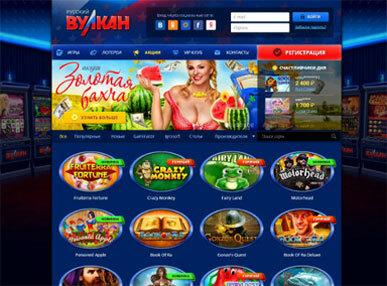 The casino website also features information on some of the prestigious awards the casino has won. For players who are more familiar with land-based casinos with doubts towards online casinos, the sheer number of games that you get online should be able to sway you in the positive direction. In the case of All Slots casino, players are treated to more than 500 casino games to pick from which is inclusive of both table games and slot titles. The games available include progressive slots, 5-reel video slots, three reel slots and more with a lot of titles for Microgaming. Using the name "All Slots" does not indicate that the games on the casino are limited to slot titles. The casino features roulette, blackjack, and also baccarat on its list of games. The gaming experience on the casino is taken to another level with the addition of games with live dealer versions. The mobile version of All Slots casino features 18 titles to meet the needs of every player. The casino has a dedicated app, and the mobile platform is compatible with both iOS and Android devices. The use of software developed by Microgaming is one of the reasons why the games look excellent even when scaled down for mobile viewing. If you are unfamiliar with the name Microgaming, then as a casino player, you should be familiar with titles like the Marvel slots. To ensure that everyone has access to the site on their mobile devices, there is also a Flash version for those who prefer not to download the app. Access through this method requires a player to sign up on the mobile website of the All Slots casino. Making a deposit or a withdrawal on the casino is fairly easy with support for the popular transaction methods. Payment options include Eco, Instadebit, Visa, Skrill, Ukash, Paysafecard, UseMyFunds, Click and Buy, and more. Withdrawal usually takes a few days to complete but remains safe and reliable with direct money transfer to a player’s bank account also available. The use of these withdrawal and deposits options is also available on the mobile platforms. The customer support on All Slots casino is one area that keeps on improving as the casino grows. The service is available 24/7 and features various methods for players to get in touch. These methods include phone, email, and also live chat. There are few features on All Slots casino which makes it a great choice although it has a major limitation when considering the number of games available on the mobile version of the casino. The areas where the casino makes a lasting impression include the continuous bonuses which players can enjoy on the casino simply by signing up or playing frequently, a large collection of games which consists of table games, slots, and more, for on the PC version of the casino. The casino also put together a great customer support service which is available round the clock. The last feature which gets to every player is the 96% return rate which the casino offers.